“KIMONO WALK” is a free-to-participate event where all the participants wear Kimono and go out together to Brussels city-center. ・Please wear a Kimono on the day and meet us at 14:00. ・We do photo shoot in various places in Brussels city-center. ・We also go out for a cup of tea. *Pre-booking is needed this time. This time, we will meet you all at a café as below. Please let us know your participation by email at least 3days prior to the day of Kimono Walk so that we can book a seat for you there. If you need a Kitsuke(Kimono dressing) for it, you can totally rely on us! ※Please make a booking at least 3days prior to the day of Kimono Walk. Kimono is a traditional Japanese clothing and a form of art. 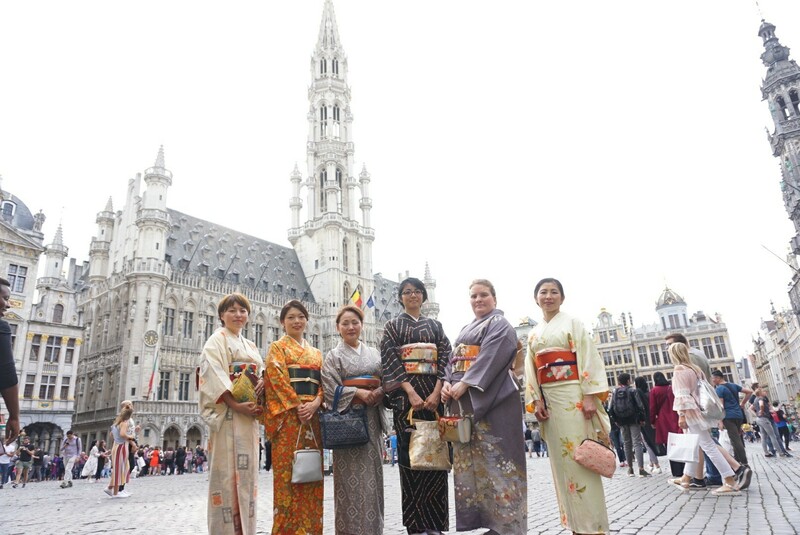 By holding “Kimono Walk”, we would like to introduce its beauty and elegance to Brussels and enjoy it with everyone!! Please contact us if you are interested!! * Please check the latest status on following FB link, especially on the day of Kimono Walk.